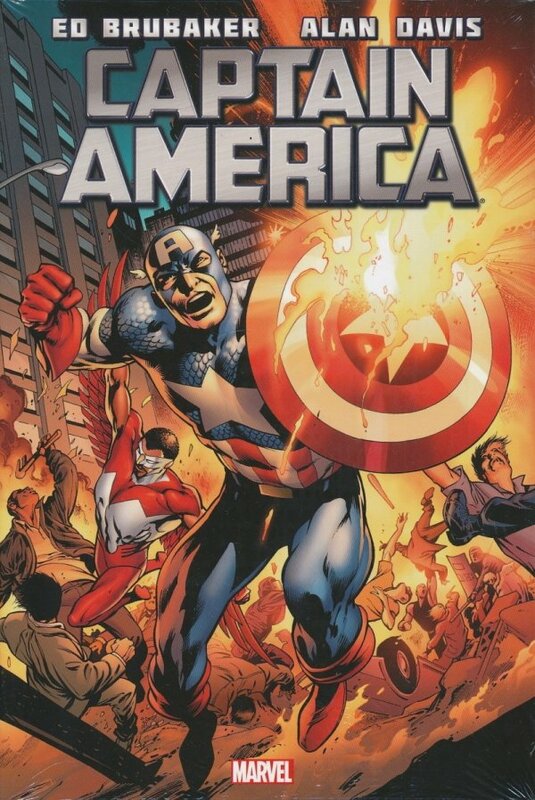 Cap struggles to find his faith when the new Hydra rises from the ashes and makes its first deadly moves! As the Serpent Squad strikes and Madbomb riots explode through Manhattan, Sharon Carter takes charge - and Cap's crisis of faith becomes a debilitating physical dilemma! Events spiral out of control as Codename: Bravo returns, Machinesmith breaks loose, and Falcon fights alongside the enemy! Can Cap be cured? And if so, will it be in time to face the new Hydra's deadly secret? Superstar artist Alan Davis joins the all-star creative team as best-selling Cap writer Ed Brubaker brings you action-packed espionage in the Mighty Marvel Manner! 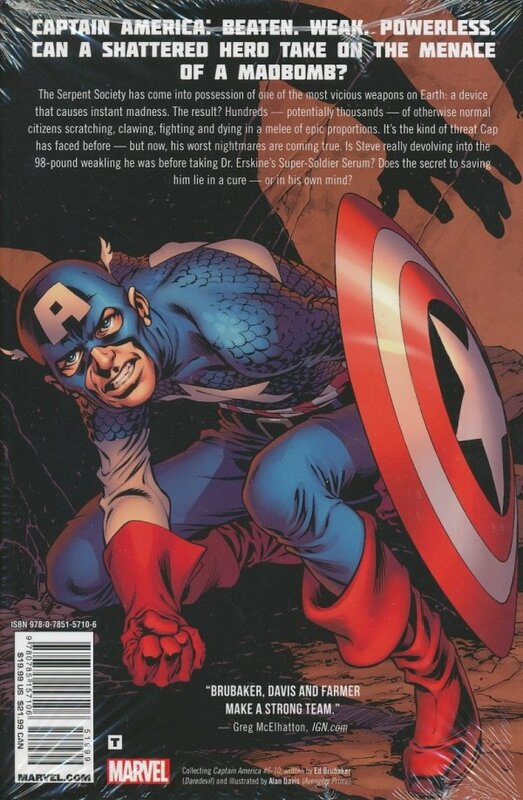 Collecting CAPTAIN AMERICA (2011) #6-10.